Get three bars of soap, our choice! Plus other items. 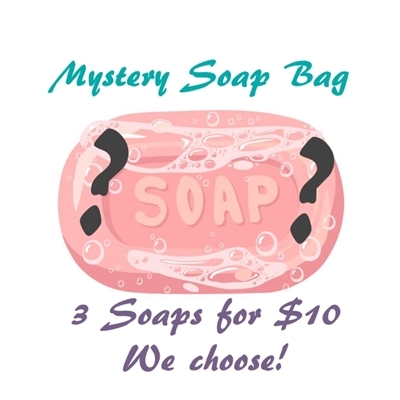 Mystery bag could include glycerin soap, or natural soaps that have been discontinued or slightly damaged, items where the fragrance or color has faded, bath bombs, and other items also included. Grab bag could include any of the soaps on our site, as well as test batches, seconds, imperfect bars, damaged items, etc.